CHEVIOT, Ohio — A restaurant in Ohio says that it will continue offering its church bulletin discount on Sundays despite receipt of a complaint from one of the nation’s most conspicuous professing atheist groups. 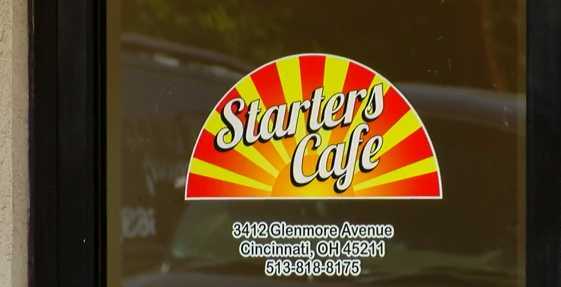 Starters Cafe, a new eatery in Cheviot, recently began offering a 10 percent discount to any patrons who brought in a church bulletin on Sundays. The promotion was meant to attract those looking for a place to have brunch after church. At first, the offer was successful and without complaint. However, it was soon met with a negative review on Yelp asserting that the promotion was “illegal,” and the Wisconsin-based Freedom From Religion Foundation (FFRF) also wrote to the restaurant to complain, threatening potential legal action. FFRF told local television station KCBY that the promotion was similar to discriminatorily rewarding only white people. “We are shocked that there is such little understanding of the Civil Rights Act and that there could be this kind of confusion, naivete that you can reward some customers for their religious beliefs and penalize others,” remarked Co-President Annie Laurie Gaylor. “A restaurant would not, want not discriminate based on, ‘Oh, if you’re white, today, you can get 20 percent off.’ You can’t say, ‘Oh, if you went to church today, you can get 20 percent off,'” she said. He said that he doesn’t attend church himself and just wanted to attract business. Since there are a number of churches in the vicinity of the restaurant, it seemed like a logical promotion. He decided to obtain legal counsel on the matter, and was informed that he was not in violation of any law. Watson’s attorney, Jason Phillabaum of Yonas & Rink, LLC, told Christian News Network that the promotion continued as usual on Sunday and was a success. He advised that any reports stating that Watson had discontinued the discount are inaccurate, as outlets had wrongfully assumed that the offer had been cancelled since Watson took down his social media post for a time while obtaining legal counsel. He said that those who don’t attend church, such as atheists, are welcome to bring in a civic or non-profit newsletter and receive the same discount. “So, he’s treating everyone the same,” Phillabaum said. As previously reported, in 2014, FFRF similarly sent a letter to a pizza parlor in Arkansas in an attempt to halt a church bulletin promotion, but the eatery refused to back down—despite bomb threats from opponents.